На сайте по этому плану афтер 31 час. Регламент выплат 12 бизнес часов. Админ уже поменял. На видосе стоит афтер 33 часа. Какие электронные валюты вы принимаете? На видосе стоит афтер 33 часа. Ну тогда я так отвечу, перемена планов на ходу при старте = признак нестабильности. The amount of 51.5 USD has been deposited to your account. Accounts: U15222017->U1.... Memo: API Payment. Withdraw to marla867 from qwy.li.. Date: 07:54 05.08.18. Batch: 223599203. $62.40 has been successfully sent to your PerfectMoney account U13255210. The amount of 101.5 USD has been deposited to your account. Accounts: U15222017->U11111****. Memo: API Payment. Withdraw from qwy.li.. Date: 11:17 05.08.18. Batch: 223615533. The amount of 100 USD has been withdrawn from your account. Accounts: U12022***->U15222017. Memo: Shopping Cart Payment. Deposit to qwy.li User drofeus.. Date: 13:18 04.08.18. Batch: 223530147. The amount of 101.5 USD has been deposited to your account. Accounts: U15222017->U12022***. Memo: API Payment. Withdraw to drofeus from qwy.li.. Date: 14:05 05.08.18. Batch: 223628722. The amount of 100 USD has been withdrawn from your account. Accounts: U12022***->U15222017. Memo: Shopping Cart Payment. Deposit to qwy.li User drofeus.. Date: 14:08 05.08.18. Batch: 223629039. Последний раз редактировалось drofeus; 05.08.2018 в 17:16. Быстрый вывод----- The amount of 101.5 USD has been deposited to your account. Accounts: U15222017->U. Memo: API Payment. Withdraw from qwy.li.. Date: 18:05 05.08.18. Batch: 223649708. 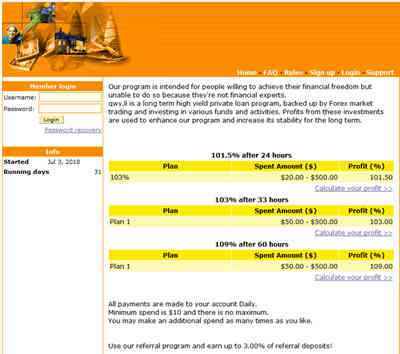 $79.17 has been successfully sent to your PerfectMoney account U13255210. $61.80 has been successfully sent to your PerfectMoney account U13255210. Что делать, если банк забрал себе деньги маткапитала? Благотворительный фонд помощи "Надежда" от Залогиной Надежды - лохотрон!